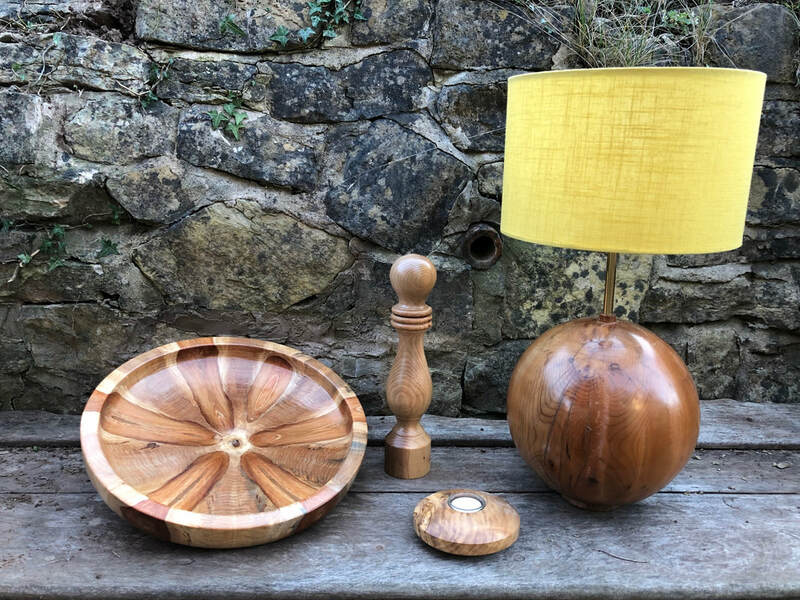 ​I am a Scottish Woodturner living in Lower Lydbrook. 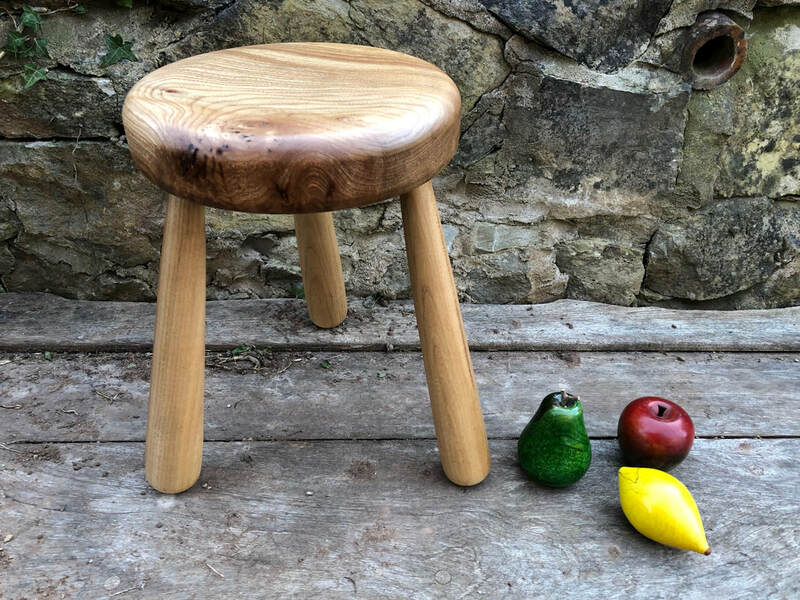 Surrounded by the Forest of Dean I am constantly inspired by the natural beauty of wood, and use the unusual character of nature's canvas to create varying works of wooden art. Where possible I source my green wood locally but have been known to send home a shipping container of wood whilst on holiday in Australia. 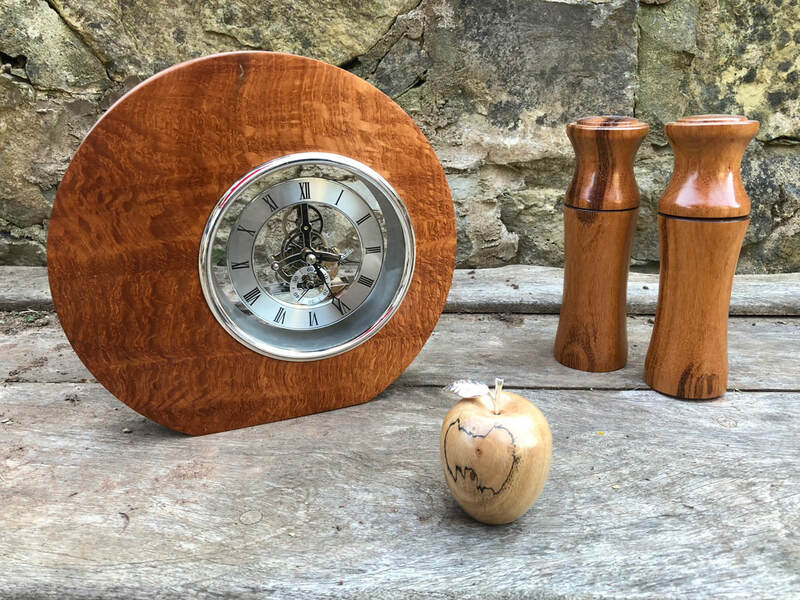 Woodturning is my hobby, and I am constantly coming up with new ideas of projects and techniques to master. Currently my subjects include wall sculptures, platters, milk stools, clocks, pepper mills and not forgetting the old favourites … bowls and fruit.